Cooking the books: Super Easy Yakitori at home! I am so happy with this yakitori recipe that I just had to share it with you right away! 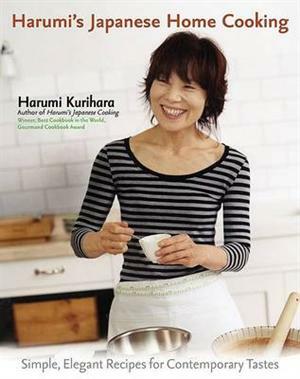 I was given Harumi’s Japanese Home Cooking for Christmas and this was the first time I used it. I’ve been really lazy recently with cooking, doing the same old thing or getting takeaway from Chicken On The Run, and it’s starting to get boring. So today, I opened my cookbook, and found one of the easiest recipes I could find, and I am happy to report to you that it turned out fantastic! Who knew that making your own teriyaki sauce at home could be so easy?! 1. Prepare the teriyaki sauce. 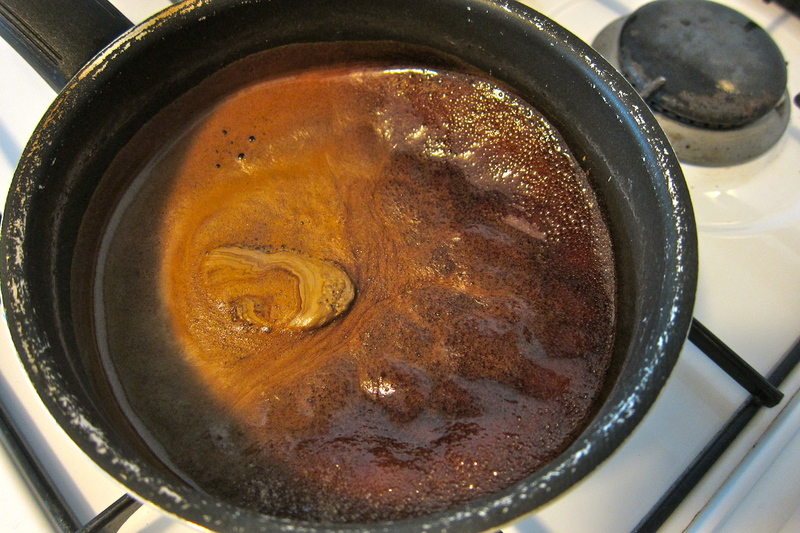 Combine the mirin, soya sauce and sugar in a saucepan and gently cook over low heat for 20 minutes, no need to stir. Once finished, skim the surface of any scum and set aside. 2. Soak the bamboo skewers in water for a few minutes so they won’t burn when cooking. 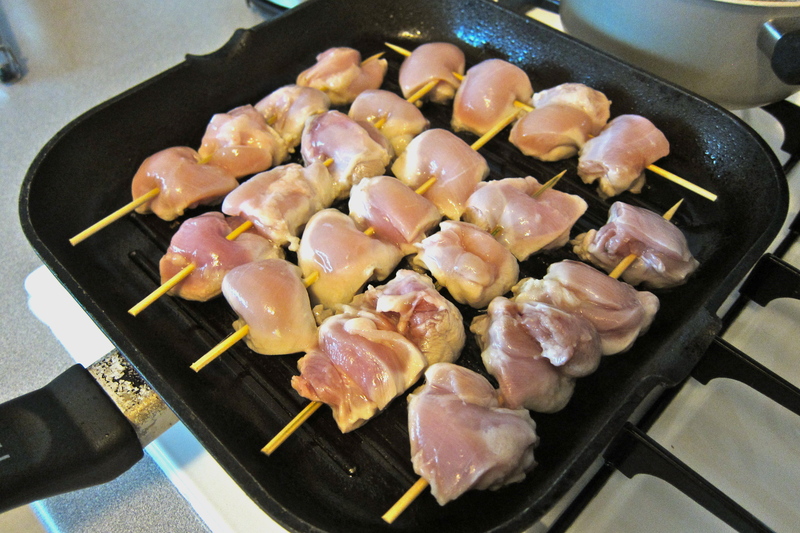 Cut the chicken into 1 inch square pieces, thread the chicken and the leeks onto the skewers, alternating as you go. 3. Warm the BBQ or put a little oil in a large skillet. When well heated, fry the skewers until nicely brown and cooked through. 4. 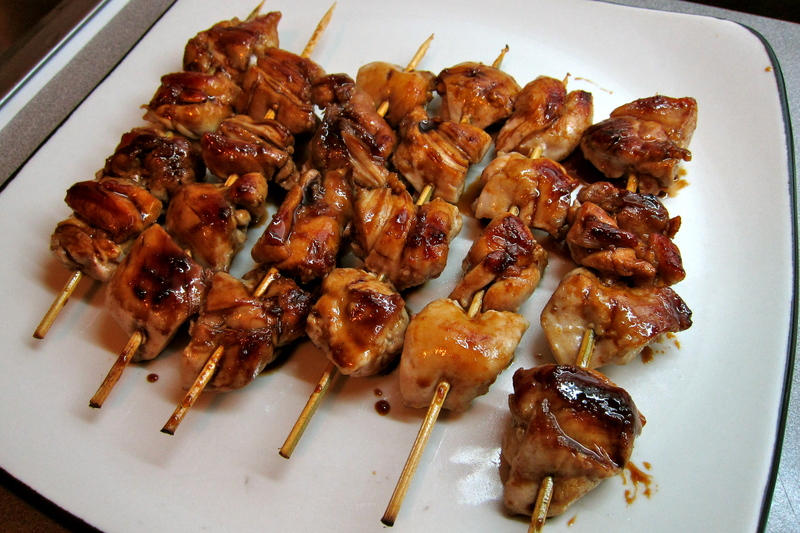 Coat the chicken skewers in your very own teriyaki sauce, arrange on a large plate and serve! Super yum – try it for yourself! This recipe could get EVEN EASIER, and you’d have a great meal in 20 minutes. Simply leave out the leeks (I did), leave the chicken thighs whole and ditch the skewers for a Chicken Teriyaki recipe. Not having to marinate means you can grill your meat whilst you make the teriyaki sauce! 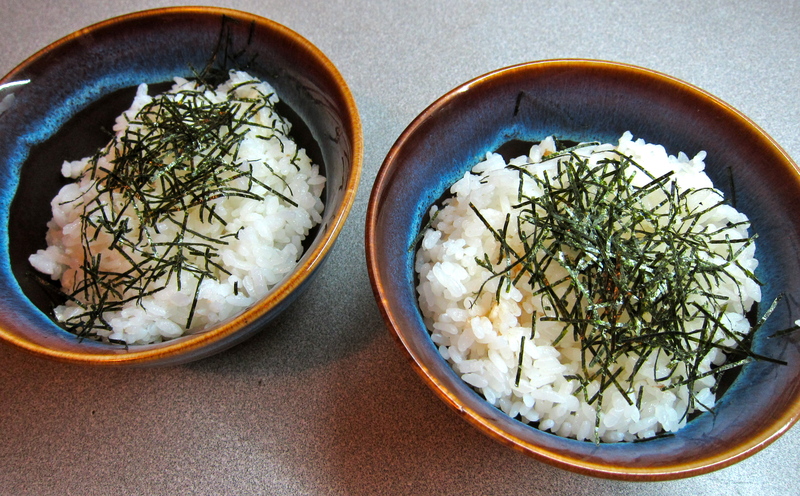 Serve it with a bowl of rice and some stir-fried veggies and you’ve got yourself a great after work meal.